Carissa Klopoushak and Philip Chiu have performed extensively together. Their musical partnership has taken them across the country, beginning with a 17-city Canadian tour for the Eckhardt-Grammatté Competition Winner’s Tour in 2009. Since that time, they have performed together in many recitals and chamber music collaborations across Canada, appearing at Ottawa Chamberfest, Ritornello Chamber Music Festival, and touring the Maritime provinces for Debut Atlantic. Their 2016 recording SOUNDWORLDS presents some of their favourite works from their many tours together, capturing their explorations of many different characters and soundworlds. The album features three sonatas for violin and piano by Leoš Janáček, Claude Debussy, and Healey Willan. Completing the album are two shorter works by Claude Vivier and T. Patrick Carrabré (world premiere recording). Janacek, Debussy, and Willan composed their sonatas within three years of one another, each offering a unique perspective on the First World War. It was said that Janacek couldn't get the sound of weapons clashing out of his head, and his sonata reflects this inner turmoil, also offering moments of absolute beauty. Debussy wasn't able to fight for his country due to terminal illness; instead, he wrote six works dedicated to the cause. The last of the six, the Violin Sonata, was the final work he composed. Fun-loving and rhapsodic, this work takes the listener through the entire human experience. Healey Willan's sonata offers the Canadian perspective, with a particularly touching middle movement and a flourish of an ending. Complementing the sonatas are the single-movement works of Claude Vivier and T. Patrick Carrabré. Vivier's Pièce is emotionally charged and very dramatic. Carrabré's Chaconne, which we premiered on the E-Gré tour, is a charming work in which the pianist has to also play the harmonica! 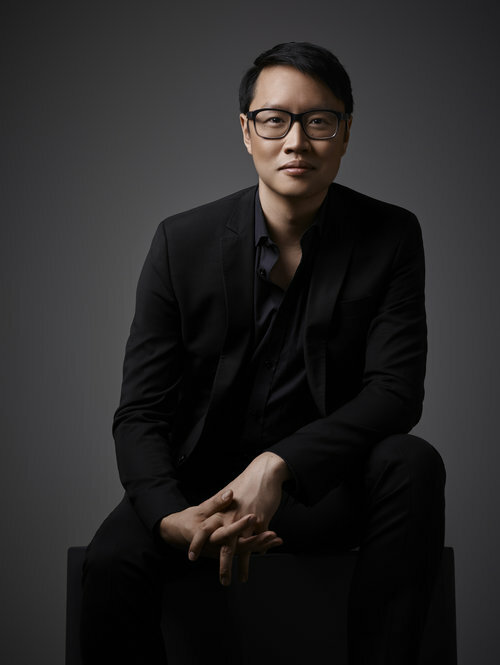 Inaugural recipient of the Prix Goyer (2015), ­one of Canada’s largest classical music prizes, pianist Philip Chiu has become one of Canada’s leading musicians through his infectious love of music and his passion for communication and collaboration. Lauded for the brilliance, colour and sensitivity of his playing, he is particularly noted for his ability to connect with audiences on and off­stage. An exceedingly sociable artist, Philip concertizes extensively as one of Canada's most sought­ after chamber musicians. He has appeared in recitals with leading musicians of the world stage, including Regis Pasquier, James Ehnes, Raphael Wallfisch, Patrice Fontanarosa, Matt Haimovitz, and Radovan Vlatkovic. Philip would like to recognize the Sylva Gelber Music Foundation and the Canada Council for the Arts for their support.